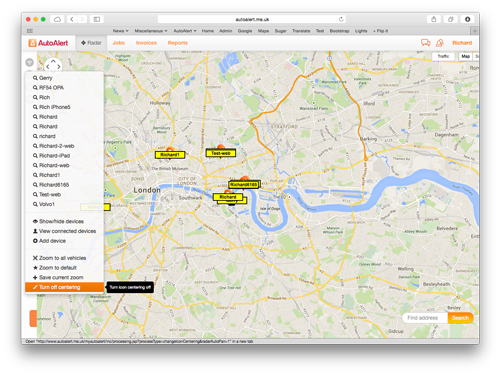 With AutoAlert you have a number of options to determine how your GPS devices are shown on the radar screen. You can then devices automatically center on the map when the icon is clicked or if you prefer, you can leave the icon where it is. To turn device centering on or off, click the devices icon and then select Turn centering on or off (depending on what option is currently selected). If device centering is switched off, and you click on a device which is near the border o your screen, then you can still easily center the icon by clicking on the center icon () from the device pop up. Clicking on a device icon from the radar screen shows a device pop up which contains key information, short cuts to additional functions and now a link to the latest activity report and tracks report. You can see the device name which appears on the icons on the radar screen. You can change the name by clicking on the device name and updating it. See more information on changing your device names. Depending on what type of GPS device you have, you can see the power the device is receiving and the strength of the GPS signal. Note: The time the status was received is shown under the icons. See more tips and advice about diagnosing faults with GPS Devices. Clicking the settings button allows you to easily show or hide the device from the radar screen. Find out more about showing or hiding your devices. You can change the name of the device, allocate the device to an employee, change the device icon and update the telephone number where device alerts are sent. 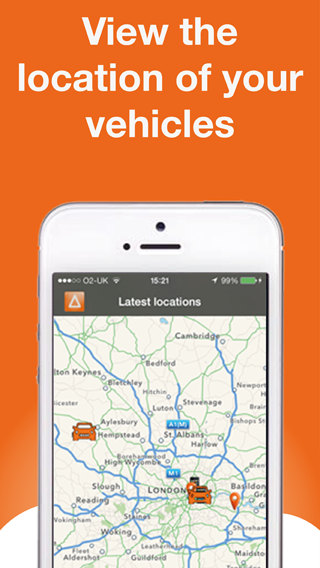 Clicking the area button creates a new geofence area around the current location of the vehicle. 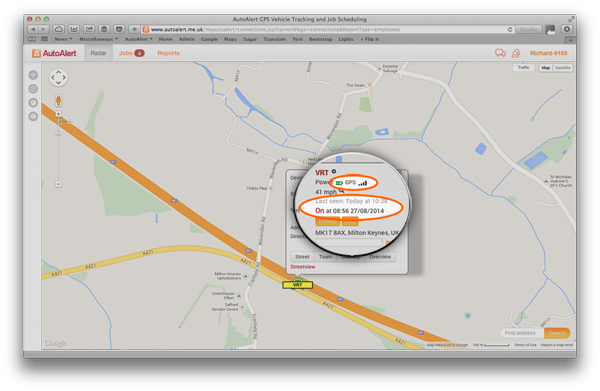 This is ideal if you want to be alerted when your vehicle or engineers leaves its current position. 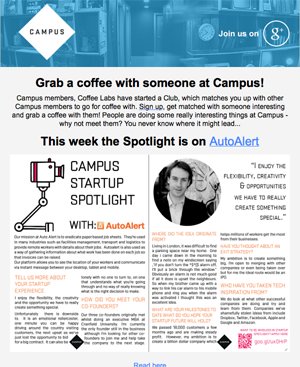 Find out more about how to create a geofence area around your vehicle and more information about Virtual Areas. 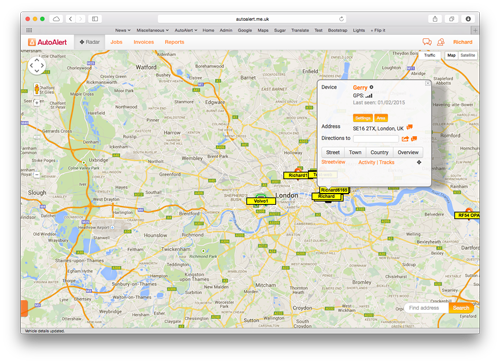 If you have a portable GPS device, then you can also set tracking from the radar screen. 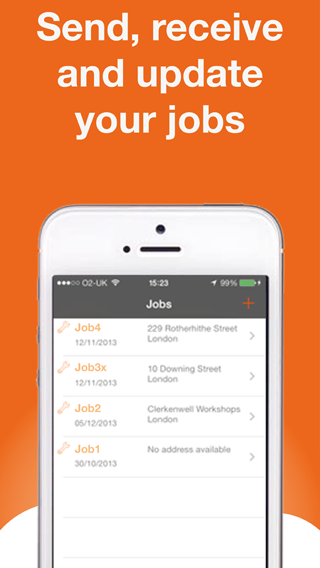 Click the tracking button and set how long your device sends its location, turn off tracking or track for a journey. The address is shown for your vehicle. If we don’t have the address then the latitude and longitude is shown. Clicking on the messages icon ( ) opens the messaging dialogue prepopulated with a link to google maps for that direction. 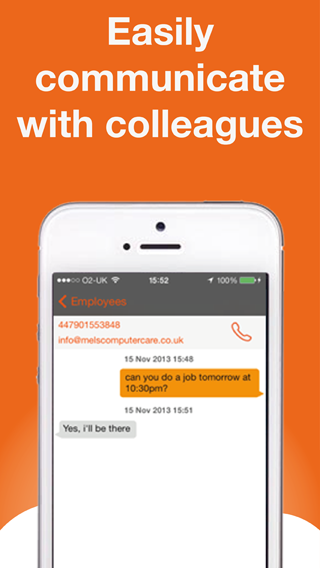 You can then send the location to a customer or colleague. You can also get directions from the current location of the vehicle to a new address by entering the address in the address field. You can then view the directions in google map by clicking on the More icon ( ) or you can send the directions by SMS. You can quickly zoom in and out to street level or out to country view. 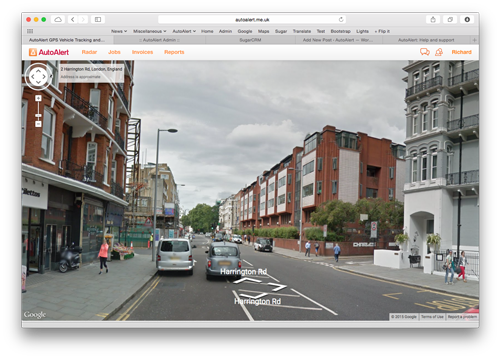 Click the street view button to view an image of the location of your vehicle. Clicking Activity takes you to today’s activity report for the that vehicle. See more information about using the activity report. If there is no activity available for that day then you change the time period by clicking Report Options and change the from and to dates. Clicking Tracks takes you to today’s tracks report for that vehicle. If there are no tracks available for that day then you change the time period by clicking Report Options and change the from and to dates. If you do not have centering enabled, you can click the () icon to center your device on the screen. See more about centering your devices on the map.